Personnel motivation is one of the most difficult activities of managers, and the ability to motivate subordinates is a great art. No management system will function well unless an effective motivation model is developed, since it encourages a specific employee and the team as a whole to achieve personal and common goals (Biggs & Richwine, 2014). . The system of motivation is an effective communication tool for personnel management only if it is well developed and properly used in practice. In fact, the most time-consuming and decisive success of the whole process is the stage of implementation of the motivation system, which takes about 70% of all labor costs. A good motivation and compensation plan is important as it; purposefulness; Allows the personnel to take risks, the presence of dedicated staff, high cohesion and interaction, the use of a directive method of management that requires quick execution and careful monitoring. The incentive system of our company is aimed at: managing employee motivation; encouraging staff to achieve the best results in achieving the goals of the business plan in accordance with the company's strategy (Weigl, Müller, Hornung, Leidenberger & Heiden, 2014). Also, improving the personal and team performance of employees; establishing the direct dependence of remuneration and other employee benefits on achieving specific results accordance with the approved work plans, attracting and retaining employees needed by the company, positioning the company as “the best work givers "To suit the principles of a good motivational system system, there is no perfect and absolutely fair staff incentive system. However, there are simple rules that allow any system to be more efficient and effective. The motivation system should be: simple and understandable to all; transparent and public; take into account the results of activities, qualifications, etc. as objectively as possible; be accepted (approved) collegially (Gupta & Shaw, 2014).. Only if these rules are followed, the company’s staff has a strong opinion that every employee has the opportunity control (in some cases even independently calculate) the results of activities. According to the majority of HR-managers, the most difficult is the development of a material system of motivation. It is impossible to build a fair system of material motivation if the criteria for assessing decision-making are not completely transparent. Therefore, the main step is the development of performance indicators (KPI, Key Performance Indicators) for the company as a whole, and for each structural unit. This work is complex, painstaking, long and, as practice shows, the most important in the development of a motivation system (Zacher, Chan, Bakker & Demerouti, 2015). In addition, the presence of clear, concrete, measurable quantitative indicators significantly reduces the share of subjective expert assessments, making the motivation system extremely objective. All employees know: if within a year the company does not achieve the set tasks and KPI will not be achieved, then regardless of how the individual units worked, the staff will not receive an annual bonus. This approach contributes to the fact that the units are interested in the success of each other and the achievement of common goals (Demerouti, Bakker & Leiter, 2014). The indicators used in the company are simple and clear. Financial services that calculate and evaluate the final results, on a systematic basis, inform about all intermediate results of the heads of departments and employees who, due to this, can adjust their activities during the year. The motivation system and KPI are usually approved in January. During the year they do not change. This is a very important point . During the "game" rules should never change. All new ideas for improving the system of motivation or the introduction of new indicators can only be implemented next year. It is proposed for novice HR managers not to claim the author's development of a motivation system and KPI. This activity requires a deep immersion in the specifics of the industry, in its nuances and priorities. It is important to remember that the key to the effective work of an employee is the maximum possible coincidence of his individual motives and goals with the motives and goals of both the team in which he works and the management of the enterprise. Obviously, the complete coincidence of these three motivations is impossible, but the correct system of employee motivation allows you to bring their goals as close as possible. The loyalty of staff to the company does not come by itself. This is the result of continuous hard integrated work. In those companies that explore the priorities of staff motivation, take them into account in their policies and procedures, the loyalty of employees is evident. This model will ensure that the company will have optimum payment as well as get the best out of the employee in terms of performance.Pay grade level depends on experience of the employee. For Ellard Williams, the rates are based on the level of experience that a worker has got (Frandsen, 2016).. They are also based on the current market rate and the competitor’s payment level so that they do not loose best talent to competitors and also maintain the required balance to keep the company afloat. The option we look at when making the compensation plan for Ellard Williams is about not so much the amount of remuneration as the employee’s perception of its fairness or injustice in relation to the result of labor is important. In this case, the person has increased attention to fairness / injustice of wages (Aslam, Ghaffar, Talha & Mushtaq, 2015).. It is very important for him to understand cause-effect relationships, it is necessary to remember this in order to effectively manage an employee. 1. Aslam, A., Ghaffar, A., Talha, T., & Mushtaq, H. (2015). Impact of compensation and reward system on the performance of an organization: An empirical study on the banking sector of Pakistan. European Journal of Business and Social Sciences, 4(8), 319-325. 2. Biggs, A. G., & Richwine, J. (2014). Overpaid or underpaid? A state-by-state ranking of public-employee compensation (No. 415891). American Enterprise Institute. 3. Demerouti, E., Bakker, A. B., & Leiter, M. (2014). Burnout and job performance: The moderating role of selection, optimization, and compensation strategies. Journal of occupational health psychology, 19(1), 96. 4. Frandsen, B. R. (2016). The effects of collective bargaining rights on public employee compensation: Evidence from teachers, firefighters, and police. ILR Review, 69(1), 84-112. 5. Gupta, N., & Shaw, J. D. (2014). 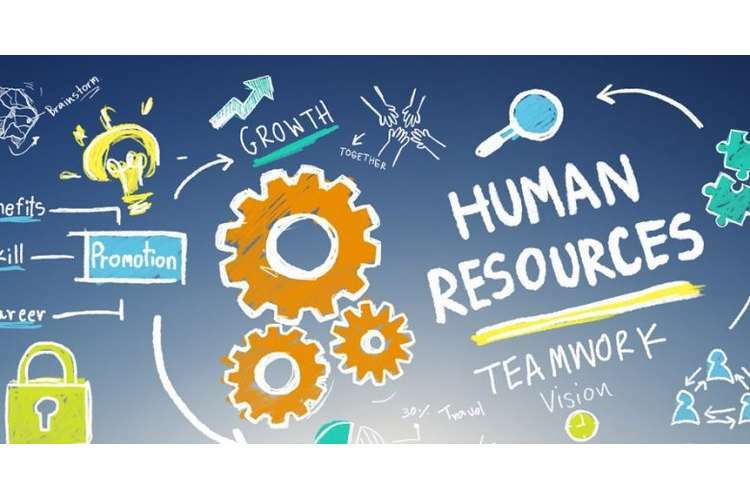 Employee compensation: The neglected area of HRM research. Human Resource Management Review, 24(1), 1-4. 6. Weigl, M., Müller, A., Hornung, S., Leidenberger, M., & Heiden, B. (2014). Job resources and work engagement: The contributing role of selection, optimization, and compensation strategies at work. Journal for Labour Market Research, 47(4), 299-312. 7. Zacher, H., Chan, F., Bakker, A. B., & Demerouti, E. (2015). Selection, optimization, and compensation business strategies: Interactive effects on daily work engagement. Journal of Vocational Behavior, 87, 101-107.